Classified as a Hybrid Bourbon or Bourbon Perpetual by Paul and a Bourbon by Rivers. ‘Louise Odier’ is a hardy rose with very double, almost camellia-like, bright rosy-peach coloured flowers, borne in clusters. 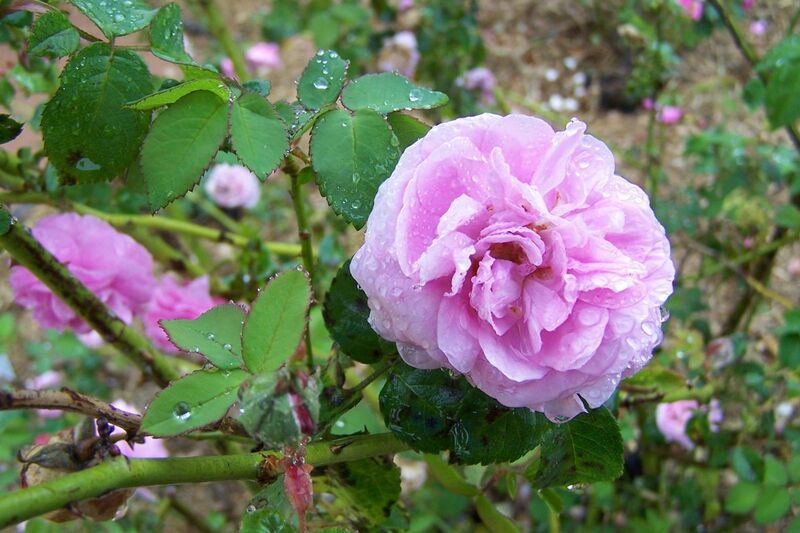 A good pot rose and recommended as a late-flowering rose. [Paul (1848, 1863, 1888), Gard. Chron. 1858, Amat]. Introduced by Margottin in 1851. Thomas Rivers wrote of ‘Louise Odier’ that it is ‘almost equal to Coupe d’Hebé in the shape of its bright rose-coloured flowers’, and is one of a few Bourbon Roses, of remarkably vigorous habits, scarcely adapted for planting in beds. [Rivers (1854, 1857, 1863)]. Included in a handwritten list of roses dated 1861, probably intended for a new edition of the catalogue that was never printed. [MP A2943].